Preparing your child’s school uniform is easier with these easy iron slim fit, short sleeve shirts. 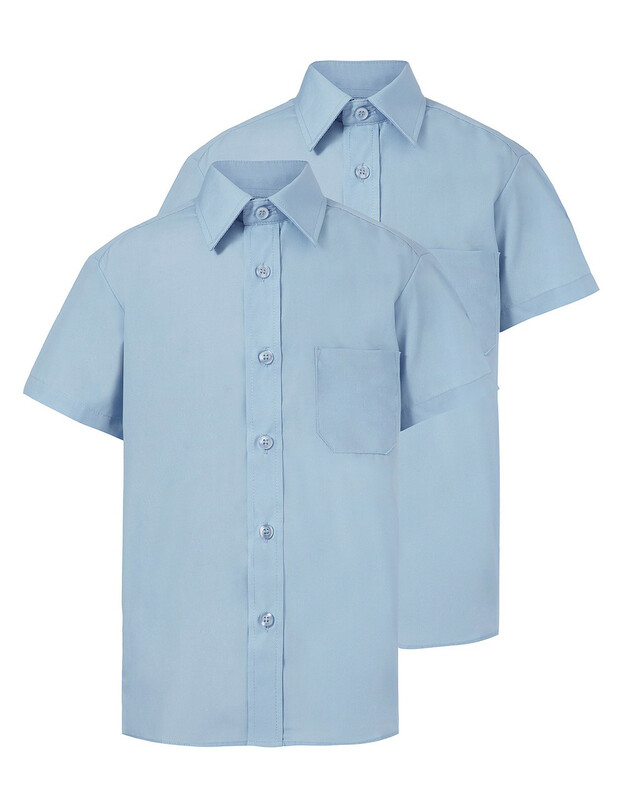 Great value with two in a pack, our button fastening shirts are smart and soft with a patch pocket on the chest. Fabric composition: 65% Polyester, 35% Cotton.